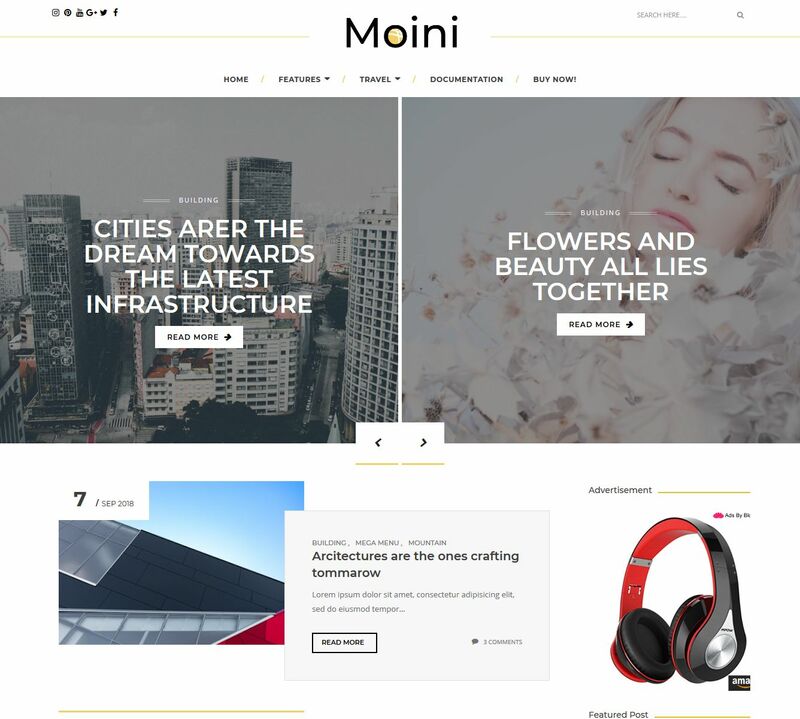 Moini is the latest blogger template powered with the latest blogger update version 3, it has the latest comment system various page layouts and much more. It has infinite loading mega menu and responsive slider. It is also packed with the instagram widget.